Since I haven’t been up north since year 2000, I’m really excited but nervous to travel to Levi next week. I loved skiing as a child! It felt liberating and wonderful to just fly down the hills underneath a blue sky with rosy cold cheeks. I already got myself a pair of Moon boots as well as this beautiful down coat by Busnel. So, I wanted to share this inspiration mood board with you for you to see the style I have in mind and imagine myself wearing. 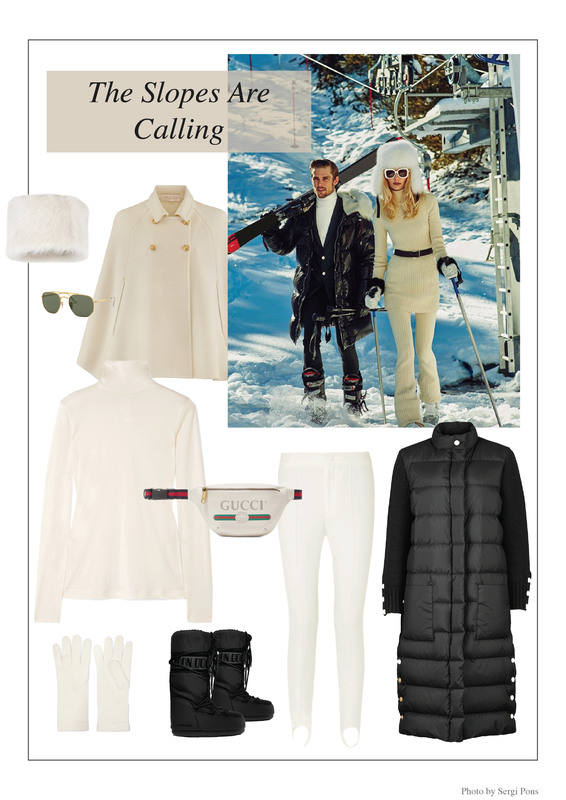 Ski fashion is really hot this year and I’m already counting the days before I get to be in this environment where I can pull out my warmest layers, have a cup of hot chocolate and admire the white fluffy surrounding.